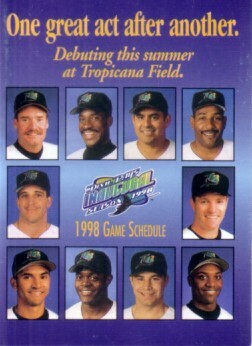 Pocket schedule for the 1998 inaugural season of the Tampa Bay Devil Rays. Has minor wear. ONLY ONE AVAILABLE FOR SALE.